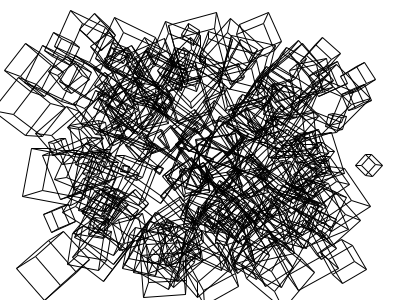 The idea was to render a bunch of wireframe 3D boxes, arranged to look like a given target image. The arrangement is done using a genetic algorithm. For a similar but different foray into evolutionary art, take a look at vat. 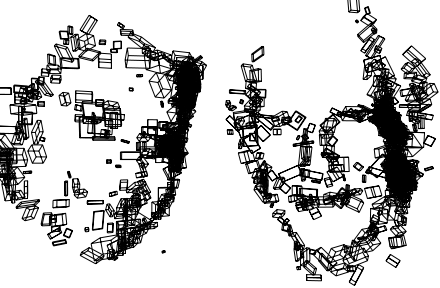 I'm pretty happy with this, although there are too many boxes packed tightly into the dark areas. 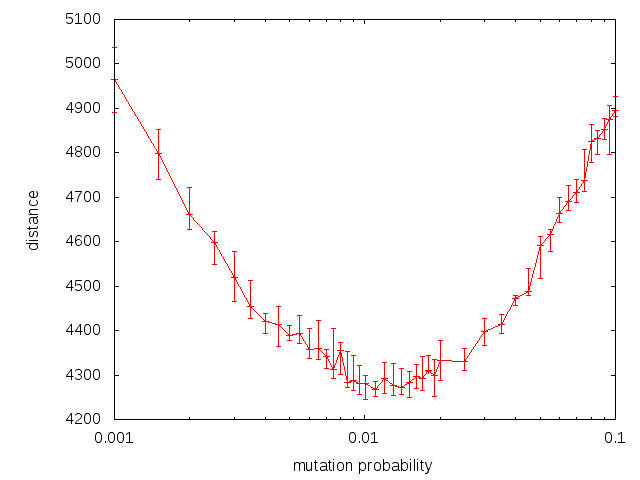 I use a steady-state population, run two lotteries, perform crossover and mutate the resulting individual. 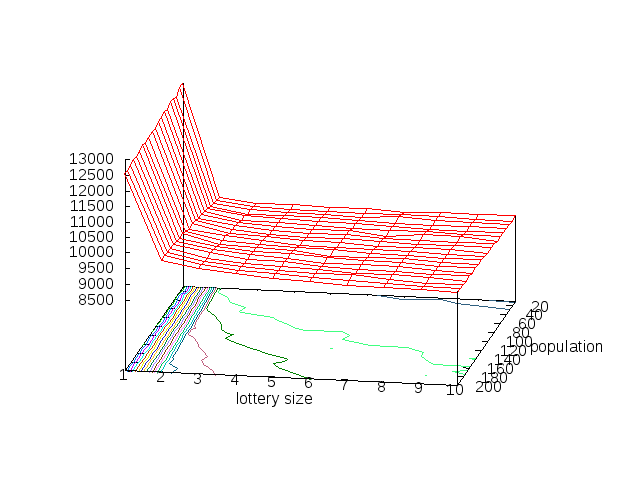 To try to find better values for the parameters of the evolutionary process, I did time-limited runs over a range of population and lottery sizes, taking the median of ten runs of each combination. 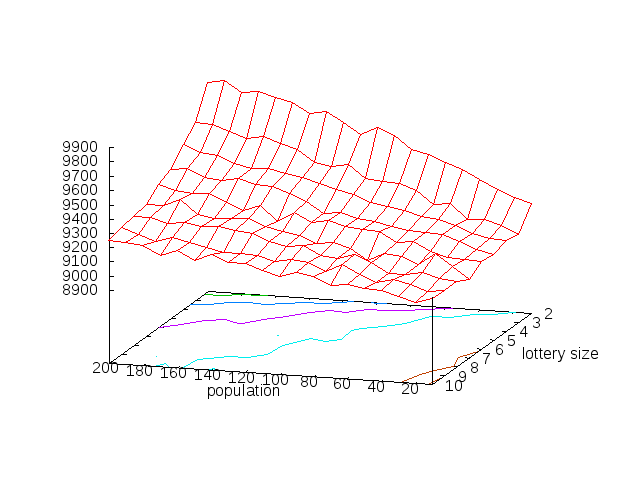 The vertical axis in each plot shows the (median of the) best distance achieved. Smaller numbers are better. Dec 1 - I re-ran this experiment on a very different target image and got very much the same results.